Hey friends. If you’re anything like most of you, you have times when you struggle with getting anything done more complicated than getting out of bed and starting a Netflix queue. It is okay. Life is hard and emotional energy makes it harder. This can make planning long-term projects, like writing lite novels or comics or game development really hard. I wanted to share a technique here that I hope will be useful for people who struggle with writing big things and making big plans. Disclaimer, of course; I’m not an expert in ADD or ADHD, the two major areas where we examine Executive Function. I’m not a medical professional or even a published writer. My expertise is mostly in practiced ways to get things done. 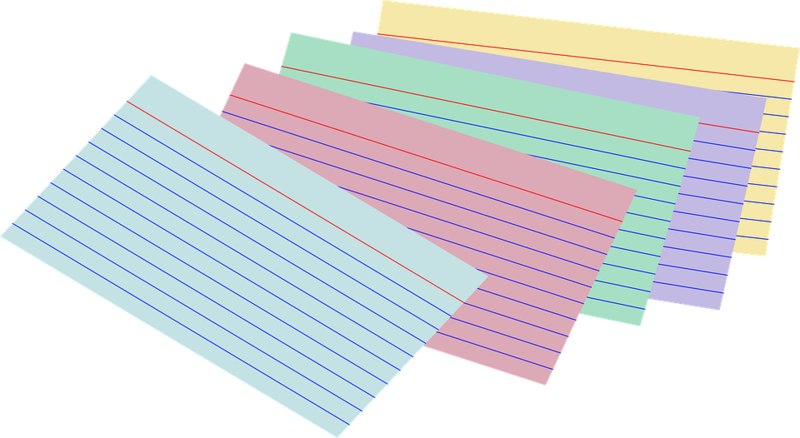 First things first, get some Index cards. They do not need to be numbered or lined. Having them be handleable is good. Too big is unnecessary. You want them small enough that you can easily handle them, not so big you need to write a lot of detail. Take one card, and write on it something you want in the story. You can write a character’s name. You can draw a picture. You can do a map of a location. You can do some math to work out how long something might be or how much time it might take. The point is, nothing on a card has to be anything in particular. Some examples you might want to write down. What’s a cool line your heroine says? How does your heroine look? And that’s it. You write an idea down, and you put the card away and you’re done. You don’t need to do more than that. The idea is that when you can’t think of much to do, when you’re struggling, you can take these cards, and identify what order you feel they should be in. You can make a story out of little scenes, out of single ideas, lined up. Then when you line all the cards up, and build up from one card to a dozen cards, to twenty cards, all with very little effort, you can look at your cards and see the outline, the structure, of a story. Looking at the cards will give you ideas of other things you want. You might decide you don’t want some cards, or get rid of others, or want to turn some cards into other, new ideas. That’s okay too! And you never had to start out a plan. You just had to think of something you want, in the story, that’s cool.